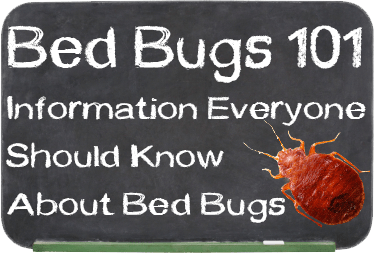 Straight, No Chaser: Don’t Let the Bedbugs Bite! There’s nothing pleasant in talking about bedbugs, but’s it is even worse to have to deal with them, so let’s get you some information to help you prevent and address these bug bites. 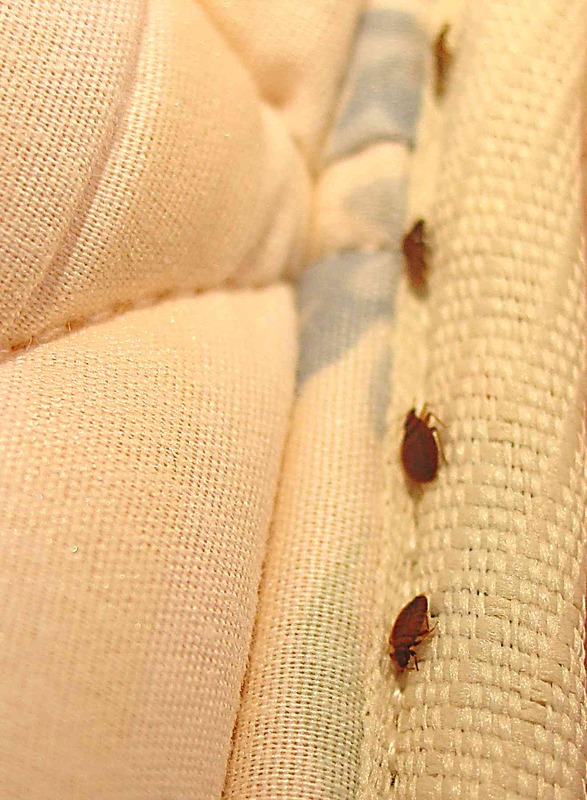 Bedbugs are everything you don’t want them to be. They’re parasites found all over the world, living only to feed on the blood of humans and other animals while you sleep. They’re excellent at hiding, and they do so all day. They only come out every week or so to feed, and when that doesn’t work, they don’t mind so much. They can go over a year between meals. Here’s a not-so-pleasant fact. If you have them, they live within eight feet of where you sleep, but they are willing to travel over 100 feet to get to you. Let’s discuss your major concerns about bed bugs. How do I prevent having them? Keep a tidy environment so there are fewer places for bedbugs to hide. Routinely check your furniture, drapes and curtains. Use a protective cover for your mattress, box springs and pillows, and frequently check it for holes. When on the road, don’t place your luggage on the floor (use a luggage rack if available). Inspect your mattress, looking for bugs, blood stains or droppings. When returning from a trip, unpack directly into the washing machine. 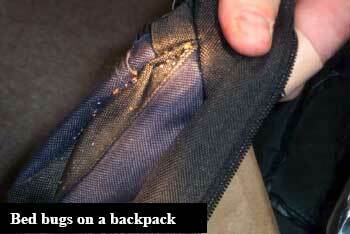 Learn to check your travel bags. If bitten, what type of symptoms will I have? You’ll itch, and you’ll discover bite marks (These may not appear for a week or two after the bite. Why you might ask? The bite actually injects an anesthetic into you that prevents you from immediately realizing you were bitten.). Symptoms vary pretty widely between individuals, from some having no reaction to others having severe allergic reactions. At least it can be said that bedbugs don’t transmit other diseases. What treatment do I need for bedbug bites? Treatment is symptomatic and involves controlling the itching. Diphenhydramine (branded as Benadryl®) is usually effective for this, as are over the counter topic corticosteroids. You should be careful about scratching your skin, as you can cause infections. If you develop redness, swelling, pain, ongoing itching or develop pus from the bite site, you should seek medical attention. Once you discover you are exposed to bedbugs, you will need to wash and dry your clothes and bed sheets at very high temperatures. If you aren’t using protective covers for your mattress, box springs and pillows, you will need to do so. Insecticide spraying is effective in treating infestations. 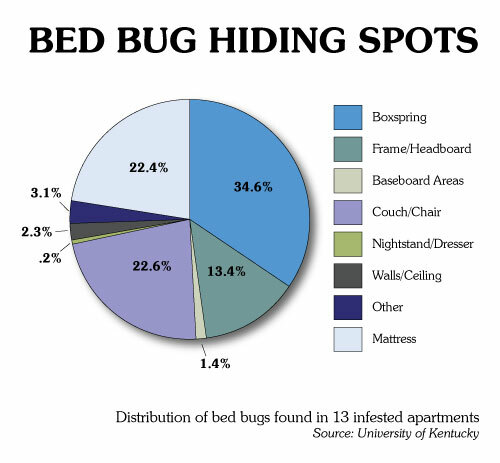 Keep in mind that bed bugs are often an acquired habit. When you’re at a hotel or a guest in someone’s home, be mindful to check everything you bring back home!